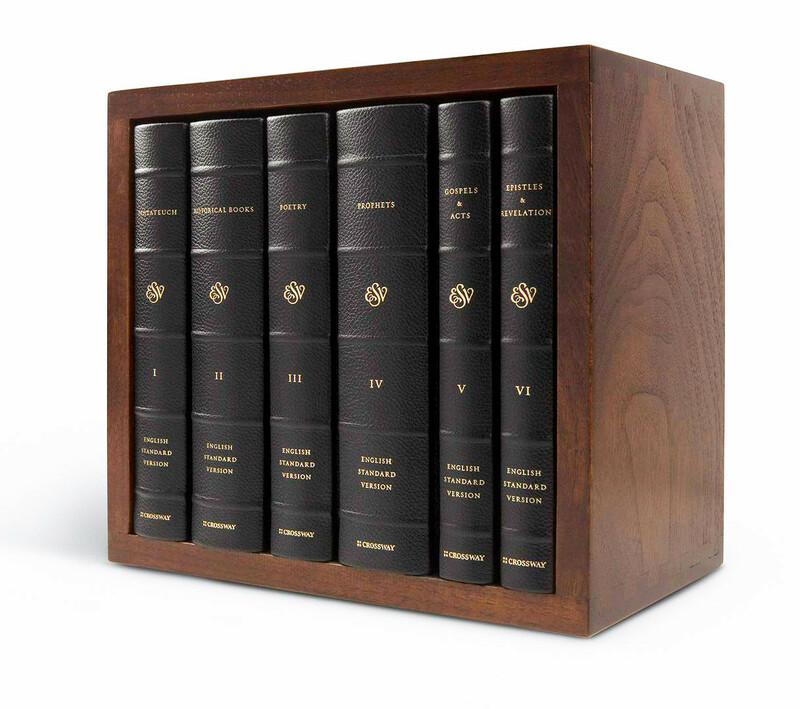 The ESV Reader's Bible, Six-Volume Set is carefully crafted from the finest materials available in Bible printing and production. This high level of care and excellence is inspired by the conviction that the Bible is a beautiful text of immeasurable value. It is printed on premium quality European book paper with a smyth-sewn binding enclosed by a beautiful cowhide leather cover and packaged in a handcrafted solid walnut wood slipcase. Black Cowhide Leather. This Bible features a single-column layout free of all verse & chapter numbers, footnotes, and most section headings, resulting in a unique Bible-reading experience that enables readers to encounter and delight in the beauty of God's Word. The ESV Reader's Bible, Six-Volume Set is truly an heirloom that can be passed down and treasured for generations to come.